I am inspired by the surrounding landscape in my South Island home. 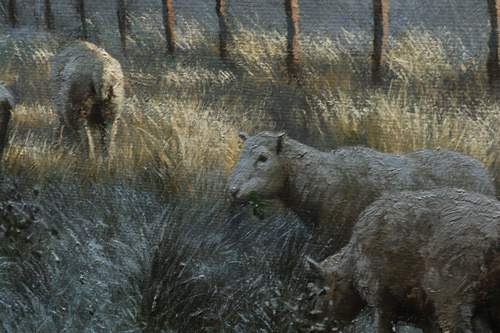 There are such extreme seasonal changes here and it provides the artist with a unique opportunity to paint these variations in light and atmosphere. This painting – “The Winter Landscape” contains an extreme depth dynamic provided by low-lying mist, simplifying the background. 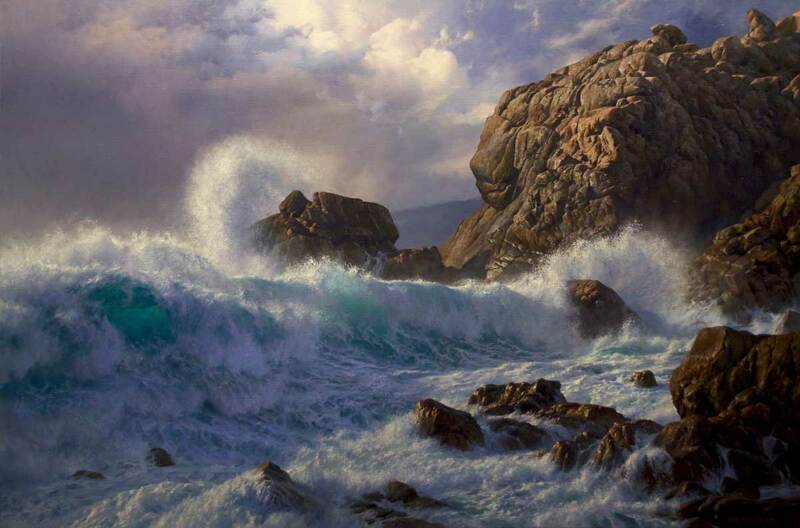 The subtle shifts in tones and hues from the sky to the mid-ground are a challenge to convey. The background is contrasted against the sharpness of the crisp details in the monumental pine trees and the branches of the willow. 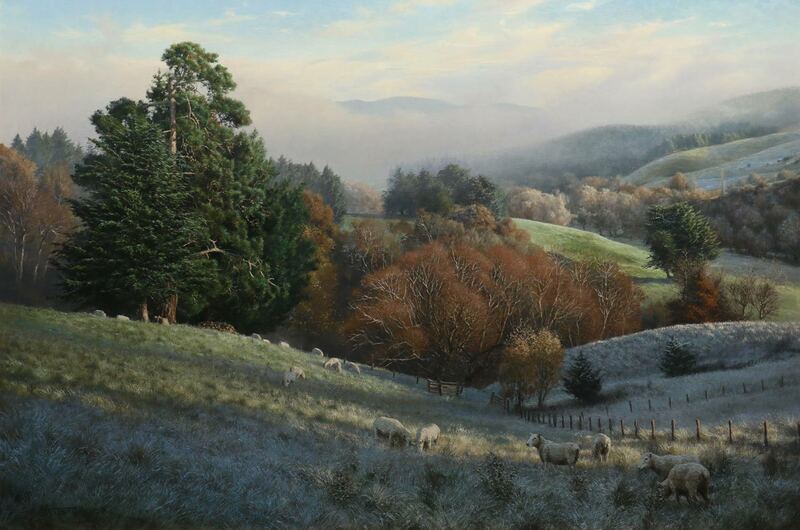 Sheep graze in the foreground, searching for any morsels not touched by the frost, inviting the viewer into this quaint and gentle scene. Despite the fact that New Zealand is half the world away for most people, I believe this landscape has universal appeal. 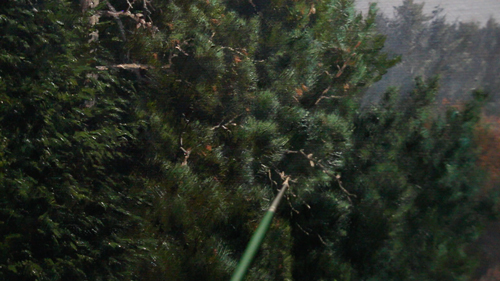 In this Winter landscape painting tutorial, I break the entire process down into sections, and we’ll talk about many of my oil painting techniques for creating a realistic scene. We start at the very beginning with the En Plein Air sketch – working from life painting in the outdoors. I will show you the tools I use when working outside, and some key strategies for success when painting En Plein Air. You’ll witness the sketching of the scene onto a large canvas in the studio, creating a Grisaille before working up the image in paint. I start off loose and then build up my layers strategically before finally adding those intricate details. Even though this painting took around 80 hours to complete; I have broken the process down into 3 major sections sharing with you the essential techniques in this landscape painting tutorial! join me in the studio and let’s get some paint out! I will show you the Materials I use for creating an oil painting, from the paint and mediums to the brushes and grounds. You’ll see the entire painting process broken down in easy to understand steps, from the Sketch to blocking in and even applying the fine details. I will show you my palette where Colour Mixing plays an important role in creating realism! The painting is built up to a rich surface by layering the paint over many passes. I show you how modelling with paint defines form creating a 3D scene! 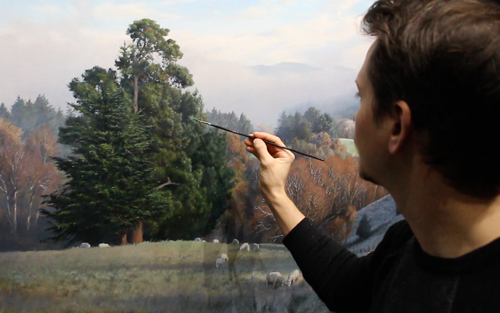 I show you how to paint incredible intricate detail in trees and grass and how to achieve elusive effects like mist. Total Runtime: 435mins (7.25 hrs) 4 Disc Set , playable on all Multi Regional DVD players. Includes a gridded image download. I just finished your Winter Landscape DVD and I had to tell you how much I enjoyed it. It truly exceeded my expectations. Also a big “Thanks” for getting it to me here so quickly. Your painting was exemplary, and the filming was superb. Bravo!! It’s a real, and informative, pleasure to watch! Thanks again, It was absolutely Superb! I just finished watching my DVD on “The Winter Landscape”. I have been at an artistic standstill for 6 years now. I didn’t know where to go. This was the most amazing video I have watched. Although I learned so very much, I also got some motivation and direction. Thank you so very, very much. You are not only a fantastic artist, but a wonderful teacher as well! Well done, I enjoyed it a lot! What I like especially is how you give so much detail about what you’re doing – down to the mix of colours,brush type and size. I learned so much from what you say, but also just watching you work and witnessing your process. It’s affecting my own paintings at a more successful level. I can’t thank you enough for your incredible generosity in sharing your skill with others. Your instruction is priceless. I have all your tutorials and value each one. You have improved my painting immensely! Are your tutorials good for beginners? I make tutorials that everyone will gain something from. If you are a beginner, then this is a great place to start. You’ll no doubt learn some crucial techniques to accelerate your development as a painter. If you’re an advanced or professional artist you’ll come away with some new tricks refreshing your approach to creating paintings. Can acrylic painters gain something from your tutorials? How much of the process do you share? All of it! Whilst this presentation doesn’t show every single brushstroke I have filmed every stage of this painting. This piece took well over 80 hours; I boiled it down to the essential techniques into 7 hours! Do you talk about colour mixing? Yes! Frequently. Colour mixing is important and intermittently through the presentation I show my palette and how I mix some of the colours in this painting. Can the viewer paint along with you? You’re more than welcome to paint along. However I recommend using this tutorial as a guide to paint your own scenes and take these techniques to create your own unique vision. This will give you the nudge you need to take your paintings to the next level. Do you show how to achieve details? Does the download work for iPad? If I get stuck or need technical support can I contact you? Absolutely, whether your question is painting related or a technical issue, we are only an email away! What do I need to know before downloading the tutorial? The files are relatively large so ensure you have enough space on your computer before commencing the download. Once i’ts saved on your computer you can then save this to a USB stick or portable drive to free up space. You’ll need a good internet connection to download the tutorial, the speed of your connection will determine how long it takes to complete the download. Make sure you download files individually, one after the other. If your download stops, un-pause it instead of starting again. An interrupted internet connection will cause the download to pause.